Firstly, it is ‘the gospel of God.’ That is it had its origin in God the Father. And, as the Scriptures make very clear, this took place before the creation of the world. It was a part of God’s plan and purpose from before the beginning. Secondly, it is totally focussed on Jesus Christ. 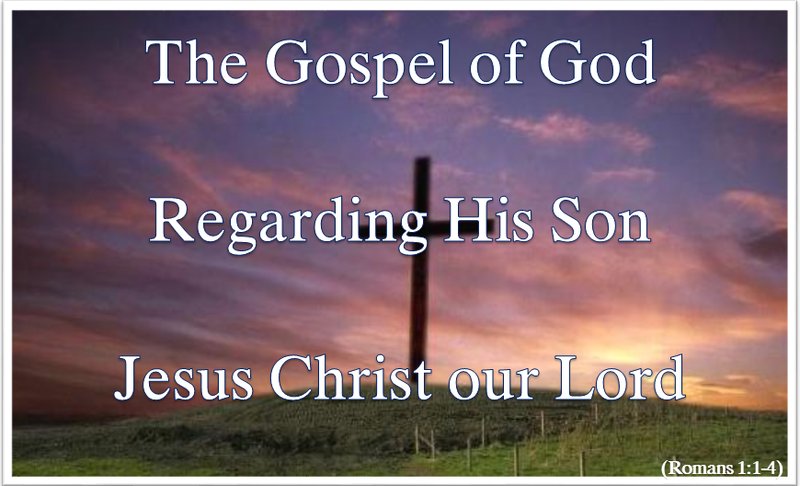 It is ‘the gospel … regarding His Son …Jesus Christ our Lord.’ It is centred on Him and on His life and purpose, His ministry and meaning, and His death and resurrection and coming again. Thirdly, the gospel is the fulfilment of the prophecies in the Old Testament. Both Jesus and the apostles used these Scriptures as a a foundation for their proclamation of Jesus as Saviour and Lord. Fifthly, the immediate purpose of the gospel is to ‘call people .. to the obedience that comes from faith.’ This means to a new life and way of living centred on faith in Jesus Christ and in accordance with His teachings. We do this by our thoughts, words, prayers and the lives that we live. Heavenly Father, may Your gospel of Jesus Christ be proclaimed in and through me to the greater glory of His Name. Amen. Categories: Christianity, Faith, God | Tags: Daily Bread, Faith, Jesus, Life, Romans, Scripture, Truth | Permalink.